Today’s guest hit on an interesting issue. You’ve probably felt it but most of us don’t know what to do about it. 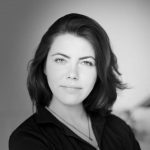 Jane Smorodnikova is the founder of Welltory, an app that lets you measure your stress and be more aware of what’s going on in your body so you can understand what your body is ready for each day to feel better tomorrow. I had no idea how well the app was doing. I invited her here to find out how she got so many users and how she got them to pay so much. Andrew: Hey there, freedom fighters. My name is Andrew Warner. I’m the founder of Mixergy, where I interview the world’s best entrepreneurs for an audience of the world’s best entrepreneurs. My goal here is to help you see how they built their businesses so that you get not just inspiration but get some ideas that you can use to build your own company. Obviously, it’s been working because many, many, many of the people I interview these days are people who learned and listened to these interviews as they were building their companies and now they’re here to share what’s worked for them. All right. So today’s guest hit on an interesting issue that you probably have felt, but most of us don’t know what to do about — stress. Her name is Jane Smorodnikova. She is the founder of Welltory. Welltory is an app that lets you measure your stress levels and be more aware of what’s going on in your body so you can understand what your body is ready for each day and feel better. I had no idea how well this app was doing. So my team looked it up. They told me about it. It was impressive. I said, “Let’s get her on here.” We worked hard to get her on and here she is to talk about how she built up this business, how she got users, how she’s getting them to pay so much. Frankly, I thought the App Store was all about $1.99 products. She’s selling her software for a lot more than that. It’s on a subscription basis, right, Jane? Andrew: And I saw the reviews, people love it. So it’s not just that you’re getting people to subscribe. They’re actually really engaged and happy with it. I should say this interview is sponsored by two companies you guys have heard me talk about a lot. The first will host your website. It hosts my website. It’s called HostGator. The second will help you hire your next great developer. Jane says she’s got some friends who work in their developer network. It’s called Toptal. But I’ll tell you more about both of those later. Jane, good to have you here. Jane: Yeah, thank you. Thank you for having me here. Andrew: Jane, I’ve got to be honest with you. I’ve been feeling enormous amounts of stress lately, doing way too much, unable to organize and delegate the way that I’m used to. I got your app. It’s really cool. What I do is I can put my finger right on the camera. The light from the flash goes off and you measure my heart rate, right? Jane: It’s not exactly a heart rate. It’s heart rate variability. So it’s milliseconds between each of your heartbeats. So it’s like 100 more numbers than heart rate. Andrew: Which is why my Apple Watch that I’m wearing, that you’re wearing will not work because it doesn’t take the measurements as fast and the camera can do it that fast. Jane: Apple iPhones has better coverage. So I finally got through it. Then the next day, because you need a week’s worth of data, the next day when the alert went off, it said, “Okay, it’s time for you to do your heart rate variability,” I said, “I can’t sit still right now. I’m going to do it later.” I never got to it. Is this a common issue? Jane: Yes. There is an issue about that. The only thing that will change it is like when Apple and Samsung and the guys who are developing wearables will get better signals so you will not have to do anything about this. But for some people, as long as you can find one minute in your morning, usually it’s people meditating and thinking about their day, if you have this one moment, you will know what your body is ready for today and can make your day more successful. Andrew: The thing is it’s not even get to know what my body is ready for today. I have to do this for a week and then I get the upside, right? Jane: No, it’s like before one week, we have about 80% accuracy, but after one week, it will have 100%. So you will get information maybe like not so accurate, but in general. Andrew: Okay. Like I said, I’m unusual in that I can’t sit still. There are a lot of people who use your app and are sitting still and are happy. The ratings are very strong. How many customers do you have, people actually paying on a monthly or annual basis for the software? Can you hear me okay? Jane: Right now, it’s more than 3,000 users. Andrew: Okay. I guess I heard that the number was 300,000. It’s 300,000 . . . wait. Jane: We have 300,000 users, not customers. We have a free app. A lot of people are using the free app. Andrew: Okay. What’s the paid version cost? Jane: The paid version is about $9 per month. It’s subscription. We have lifetime value of about $100. So people are paying for it for a long time. The main feature there is you can add all your other data from your fitness trackers, from your computer activity, etc. even weather and it makes sense from it because you have your own KPI, like stress and energy. So we can understand does running make your stress go down, does your meditation actually help you to be more productive and like correlate all this data. Andrew: Because you’ll see from Strava or Runkeeper that I ran yesterday and when I run, my stress goes down and you’ll know how soon after I run my stress goes down and the same with meditation apps, you feed that data from everything? Jane: Yes. It’s a lot of integrations. Andrew: And then overall, what’s the revenue then? I was doing back of the envelope math, and I saw at $9 a month, you’re at $1.4 million, but a lot of people opt for the annual price, right? Jane: Yeah. Right now, it’s about $300,000 run rate and growing 36% per month. So we are going to become $1 million revenue in the six-month or something like this. Jane: We just launched six months ago, so I think it’s okay. Andrew: Yeah. How much money did you raise? Andrew: Wow. Before this, you had another company that you started, right? What was that business? Jane: So, actually before Welltory, I had a company builder. It was a small company called CoffeeLab that helped several startups a year to launch. We helped guys to find developers, to fundraise, to make ideas, and like several companies we helped like LeadCooker or Mailburn or E-Contenta are doing well right now. We also launched Founder Institute chapter in St. Petersburg, Russia. So I just worked a lot with startup founders. Andrew: And your experience as an entrepreneur started was it with Lifehacker? Jane: No. It was more than 10 years ago. It was payments, like [inaudible 00:07:16] machines for city bills. It still works in Siberia. Andrew: Wait, payment machines for what? Jane: People are still using it to pay their bills. Andrew: It was machines they would use to go pay their bills? Andrew: Oh, wow. All right. So they go up to their machine and they pay their electric bill, that kind of thing. And it’s still being used in Siberia? Jane: Yeah, like all the bills, including internet, mobile, electricity, like everything. Andrew: Wow. I had no idea you were doing that. What’s the name of that company? I’ve got your whole list of companies here and I still didn’t realize. Jane: It was the first one. It’s called [inaudible 00:07:53]. Andrew: Okay. So you built that up, and at some point you left and then you had other experiences. I see you also founded Gurnard Perch Sophisticated Technologies. You have a bunch of experience doing that. That’s why you got into Founder Institute and you helped them by launching the St. Petersburg chapter. In all that time, up until that point when you started Founder Institute in St. Petersburg, what are some of the lessons you brought to Founder Institute that you brought to Founder Lab, where you were helping entrepreneurs get going? What are some of the things you learned? I can see the connection is a little bit slow. Jane: Actually, what I have learned is the founder is the most important—do you hear me? Andrew: Yeah, there’s a little bit of a lag, but we’re okay. Jane: I think that the founder and what is going on in the head of the founder and how he feels and what he thinks is he most important thing in launching a startup. For me, it was really strange that people, if we’re talking about launching business, about new companies, are always thinking about rational things about market is ready, it’s the right time, the right idea, right business model, right revenue and nobody is talking about the tough part, about what is going on in the head of entrepreneurs. That’s what I think is the most important part here. That’s what I tried to talk with founders. I saw how their startup failed because they just burn out. They lose their focus and don’t understand what’s going on and make wrong decisions and all this stuff. Andrew: Do you have an example of that? Do you have an example of a founder who should have—if her head or his head was on right, they would be killing it but because they weren’t, because they were burning out or over-stressed or anxious, they lost their business. You don’t have to give me their name, but I’d love to hear their story. Tell me. Jane: So, actually, there’s a lot of stories like that. One of our companies like Mailburn, I can tell it because Dale posted it. So it’s public information. The thing is that he launched his company. It was like turning Gmail into WhatsApp. So he got email protocol and turned it into a chat experience. It was working great, but they have a lot of problems with email protocols because email is like horrible in the downside and he was so focused on these things, they had a lot of trouble. So they lost their strategy. So, when you are stressed, you are thinking about only these things right in front of you. Jane: But problems that are right in front of you. You are losing the big picture because like at the same time, it’s hard to be right in the moment to see the big picture when you are like so stressed. Andrew: I’m sorry to interrupt. You’re so freaking right. That’s exactly what happens to me. I deal with the problems that are most pressing because they’re most visible to me, and I don’t think longer term because I can’t think beyond these issues, not just that these issues need my attention, but that I’m unable to think where I am right now. Okay. So you started to see that and as a result of him—sorry to interrupt, but I’ve got to just jump in here. I want to make sure I understand. You’re saying as a result of him saying all these email protocols are such a pain to work with and turn long email into short chat is so tough, he wasn’t thinking of what the long-term vision of this company was and how do we get that and maybe the long-term vision is dump out of email altogether and create a new way of communicating like a Slack or maybe it’s something completely different. If he was thinking clearly, that’s what he would have done. Is that right? Jane: Yeah. If he would be thinking clearly, he would have created Front because Mailburn was a year ago before Front. Front is like the new email turned like Slack-style and a super successful company and guys are doing great products. There was a way to do it right, but he was like too stressed to think about this. That happens with entrepreneurs all the time. When you are doing startups, you make strategic decisions every day. If you are stressed, you cannot think about this right. Andrew: You know what? If you just end the interview right here, I feel like I got a lot out of this. You’re exactly identifying what’s going on in my head, which is why I can’t sit still for five seconds, actually a minute while an app checks my heart rate. All right. I’ve never heard of Front. It doesn’t sound familiar. It’s FrontApp.com. What is it that makes them so special that you guys could have pivoted into this? Jane: They are making email like the next generation because email, it’s a super old protocol. It’s the most popular product in the web. It’s only default protocol that is supported by both people, apps and companies. So it’s huge, but it’s like so old school. It’s just text without any bottoms. It’s too old school. It has to be reimagined. Front guys are doing it in the way of Slack. I see it works. They have created like shared inboxes for different topics, like Slack channels. Jane: I’ve seen their pitch deck. They are doing great. Andrew: Here’s one thing I see that already stands out—assignments. Sometimes I get email, I don’t want to do it. What I do is I forward it to someone else, when what I should be doing and what I prefer to do is assign it to somebody else as a task. Another time, someone will just share an email with me. I can’t tell is it a task or is it an, “FYI, I’m handling this,” type of thing. There’s also chat sessions, which I could have with other people on my team. I could bring in Twitter and SMS in there. Jane: Yeah. So it’s like different use cases in your mail. They need special interfaces. Andrew: Okay. What I understand from your conversation with our producers, you saw this, people were burning out. Good entrepreneurs who had all the skills to succeed were still failing because of what was going on in their head. No one was handling it right, and frankly there are a lot of charlatans who I think try to handle it right. There’s the people who tell you that they know what to do, but they don’t. And you said, “I think science needs to be brought in.” And the first step forwards science is always an Excel spreadsheet. So you got an Excel spreadsheet and did what with it? Jane: So I just got a lot of books about physiology and cardiology and analyzing the heart rates, like just public formulas that are available in science papers and created the same things that people are doing with the huge medical machines in the [inaudible 00:15:02], and then on Python just a small prototype. So I spent about a weekend to build that up, like small prototype to calculate these numbers about stress, energy, [inaudible 00:15:17] system activity and all this stuff from scratch. Andrew: Was it going to—this is where I should have interrupted, but I’ll continue—was this going to ask people to manually enter their data like their heart rates and so on or were you at that point pulling it in? Jane: I just thought they can get you their heart rate from any heart rate monitor, like Polar Strap or something like this. And then they could put in these numbers from Polar to our prototype and get the results. Andrew: Got it. They put it in there and you were starting to say, “What happens with all this data?” What did you make happen with the Excel spreadsheet? Jane: I have compared it with medical graded apps and gadgets. That’s why we needed it. Andrew: Just having all the data in a spreadsheet doesn’t do anything. Was the spreadsheet starting to run a calculation that would tell you how you’re feeling or what? Jane: This spreadsheet did all calculations that usually you can get in the hospital from medical rate devices for getting your heart rate. Andrew: What happens once I get that when it was an Excel spreadsheet? Jane: For a user, it’s nothing. Doctors and the guys who were working on medical graded ECG devices told us they have spent about five years creating these calculations and all this stuff, and we just were thinking is it possible to calculate all these numbers we need or we need to hire some professor and all this stuff. It was like a check like MVP for us to prove that we actually can just get books and send papers and create the same algorithms that people have right now. Then we can start to improve it. Andrew: I see. So your prototype wasn’t, “Can we change people’s lives with this data?” You said, “Look, there is accurate data that’s’ improving people’s lives. Doctors are proving it on a regular basis. They have this equipment. Our question isn’t does that work? It works. We see it in the medical community all the time. Our big question is can we get that data without medical grade equipment, with the equipment that people have already with them, like heart rate monitors.” Once you were able to say, “Yes, we could do it,” then the next step is, “What do doctors do with this? What’s the ideal thing to do with this data? Let’s guide our users through that.” That’s when you took on the app, am I right? Jane: Yes. That’s how we understood that we can do it with a smartphone without any gadgets to spend a lot of time making a great signal from it and calculating it. The last part, the most important part of it was why you need a doctor, because you see all these strange numbers, like [inaudible 00:18:16] and all this stuff. You cannot understand what is going on there. You need a doctor or physiologist, you have your own trainer who can interpret these numbers. The real job was to learn to train our algorithms to interpret this data for a user without physiologists. It was the hard part. We spent a lot of time on it. We had to collect [inaudible 00:18:43] data points to use technology to replace the physiologist. Andrew: Okay. Let me talk about my sponsor and then we’re going to continue with what the first version of the app looked like. First, I’m going to read an email from somebody who does not like my sponsor. Here’s the headline. It’s from Hari Iere. The reason I’m bring up his name is because I want to thank him. I want anyone who’s unhappy with any one of my sponsors to tell me. I need to know they’re good and I need to know when they’re not good. And then he gives me a link to HostingFacts.com. So I go to HostingFacts.com. I’ll tell you, the person who did the review on HostingFacts.com is Brad Smith. Brad Smith likes it in this article. You guys can go see this for yourself. But the commenters are not crazy about HostGator. So some people come in with negative. Some come in with positive. There’s a woman, Jennifer Heffner, who comes in, gives it a 50 out of 100. There’s another guy, Andrew, gives it 100 out of 100. So it’s all over the place. Let me tell you guys something. Jane, I’m going to say this to you. I always keep my guests on here to make sure that I’m held accountable. If I’m just talking into a mic, maybe I’ll want to make a lot of money and forget there’s a human being out there listening, but if I see you, I want you to know that I’m a credible person. I speak the truth. So here’s the thing. Hosting is the most polarizing topic on the planet. For some reason, if someone has a really bad experience with their hosting company, I get it, they hate the hosting company completely. If they have a great experience, they love it and everyone else is wrong. I’m not getting in the middle of this fight. Here’s what I’m going to tell you guys. Every hosting company out there has problems. There isn’t a single one—we went with the most expensive for Mixergy and we had immediate problems. We stuck with it because we knew the founder for a long time and then we finally said, “Let’s get out.” So I get it. I switched my company, Bot Academy, to HostGator. I bought a middle-tier package. It worked great. Then I did this partnership with Copyblogger. This guy, Brian Clark, has insanely active users. It basically brought down my site. I called up HostGator and said, “Can we level up?” They said, “Yeah, you can level up.” I said, “Can you give me a great price for getting the best possible service?” They said, “If you sign up for three years, we’ll give you the best possible price.” So we signed up for three years. I’m happy with it. I’m not going to pretend there are people out there who are not happy with it. 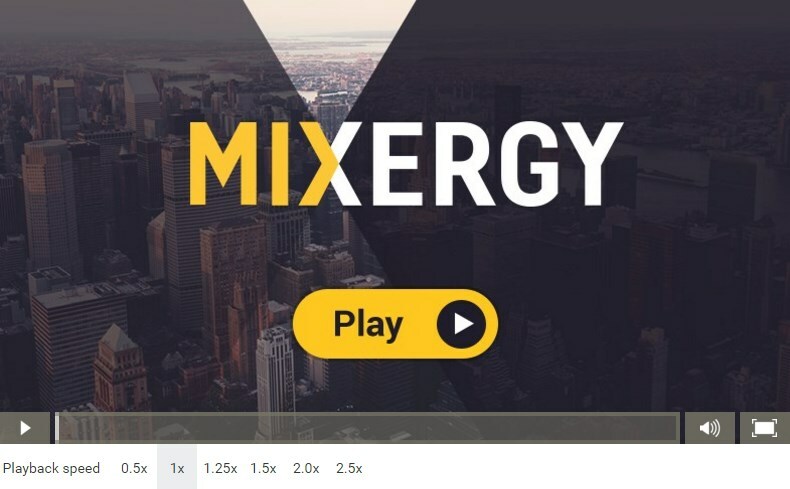 I’ve got to tell you, I’ve done interviews here on Mixergy, and so many of my guests, you’ve heard it right out of their mouths, they say they use HostGator for themselves, they use it for their clients. So if you want someone who is not perfect, here it is, HostGator.com/Mixergy. I’ve had incredible strong experiences with them. I’m not going to hide the fact that some people don’t. But I will tell you—stop obsessing about is this the perfect, is this this, is there that—pick one, go with the level of hosting you need. If you don’t like the cheapest plan, level up and get whatever you need, and then forget about hosting and think about your business. How do you get more customers? How do you do a better job for your customers? Forget about the details of it. So, guys, go to HostGator.com/Mixergy. I absolutely stand behind them. If you saw that at one point, I stopped running their ads because I looked at all the feedback and I said, “Let’s check it out.” I’ve never had negative feedback about a sponsor before. I checked it out. I liked them. I saw the results were strong with them, and I acknowledged that some people are not 100% satisfied with them. I’ll tell you what, though, just like this guy, Brad Smith, on HostingFacts.com said, they have an incredible money-back guarantee, 45-day money-back guarantee. So if you’re not finding that as good as I think they are and so many people think they are, ask for your money back and tell me about it. I will not hide it. I’m telling you they’re fan-freaking-tastic. I’m very happy with them. If you go to the special URL, HostGator.com/Mixergy, they’re going to give you up to 62% off, HostGator.com/Mixergy. All right. Jane, what do you think of that? Jane: I think hosting is crazy. We have 25 servers right now. Andrew: Because you’re an app and you have all that data? Jane: Yeah, because it’s a lot of data. It’s always like [painful 00:23:26] stuff. Andrew: I see it even on Hacker News. Somebody will say they moved to AWS for their data, and then somebody will say AWS is not the right answer. We can’t allow that to make us spiral out of control. We in tech love tech so much that we focus more on our computers and more on our iPhones and our gadgets and all the love we have for them. You would never see a carpenter look at his hammer as much as we’re looking at the devices we use and question, “Is this the best hammer ever?” He just hammers the nail into the piece of wood. He thinks more about the outcome. We get distracted by, “Look at how good this hosting package is and this one.” Go with one that’s really good, that survived, that does a great job and move on. Same thing with a phone, I get it. I have the same love for phones. I’m not putting people down for it. At some point, we get too distracted. Jane: But it’s not so easy because for example, for us, when we tried AWS, it was $5,000 a day. So it’s like. . .
Andrew: By the way, that’s a lot. I don’t mean to imply you shouldn’t care about it, I just mean let’s not spiral out of control and that becomes the main thing we’re focused on. It’s easier to focus on that, frankly, than it is to hear a customer say what I said at the beginning of this interview. But what do you need to hear? You need to hear what customers are saying. You need to know what they’re going through and how to build for them. Jane: So, basically, we were not sure about how it should look like. So we just did it and then connected several data sources like sleep, like activity and computer activity and said to people like, “Come on, guys, we have a couple of doctors and wellness coaches here and therapies and your data. Become a part of our beta version and we will talk with you and try to help you. We did like it was manual service. We had real people talking with our users in the chat with their data. Andrew: In the app they were doing this? Andrew: In the app, you’d have real people talking with users. So what you’d do is you collect data for them and you would talk to them about it. What else would you do with that data? Andrew: And you were able to know it was a cookie because how? How did you know cookies were doing this? Jane: We knew that he’s on the protein diet because he tracked his food. We just told him you need something with sugar, anything, cookie, something like this. Andrew: Because you connect with . . . what’s the app that I use? I use MyFitnessPal. Jane: Yeah. It was [inaudible 00:27:15]. Andrew: If I use MyFitnessPal to log all my food, you will even use that plus my measurements to tell me, “I see.” So, here’s the thing, though. The other thing that turned me off, I’ll be honest with you, about the app is I had to watch these long 24-minute videos. I don’t have time for 24-minute videos. Will you tell me this stuff without watching that? I like how you smiled when I said I don’t have time for 20-minute videos. I’m doing an hour-long interview. Jane: There is like no sense to watch video you don’t need to—if you don’t want to, just don’t watch it. There are like three-minute videos, four-minute videos, five-minute video and text also. So you can just read fast if you want to understand something. Basically, you don’t have to do it. You can just measure, see your conditions or try it or not try it. Anyway, you will see the results of your decisions tomorrow. Andrew: This is not the type of interview where I’m looking to learn about new software, but I’ve got to get back on it. I want to understand what’s leading to my stress and what’s taking the stress away. I’m going to do this as we talk. Where do I go in the app now to add—since I missed six days already, where is it? You can see I missed six days. Jane: Go to the measure menu and press the orange button. I’m sorry, I don’t see. Andrew: Oh, you can’t see it. Miss six days, I’ll find it and do this after. Oh, here we go. Jane: There is an orange button. Andrew: Got it. All right. Let’s see if we can—all right. So put my finger on right here. I’m going to try to chill out and not move. There we go. Let’s go on with the next question. I feel like I need this more than anyone else. I’m not good at sitting still, but also recognize that there’s some things that help my body that are counterintuitive. I used to think the more I slept, the better I was the next day and then I started wearing the Apple Watch to sleep and I realized eight hours doesn’t make me feel better. If anything, I feel a little drowsier after eight hours. Six hours is fine if I’m in a good mood and not feeling stressed. It’s not about the amount of sleep that I get. It’s how I feel going to sleep. It’s how I feel during the day that determines how I’ll do the next day. But you’re going to give me more [inaudible 00:29:33]? Jane: Yeah. Sleep is the biggest question. So people don’t know how many hours they actually need to sleep because we are so different. For somebody, it’s about six hours. For somebody, it’s seven hours. For somebody, it’s nine hours. If you get eight, it’s not enough. That’s how you actually can just measure it, and you see like if your energy recovered after night, you’re okay. Then how you can understand what types of sleep like when you should go to sleep, what time is better for you, what makes you recover fast. So you can research it. Talking about just the mood, it’s not enough because we don’t feel—we are not connected really with our body. I know a lot of people who told us they’re super stressed and tired right now and they said, “Come on, I’m great. I’m feeling great for everything.” That’s what stress makes you to feel that you are able for everything because your body is trying to run up from [inaudible 00:30:42] like this. That’s why actually measurements are better because they show how your body feels, not your head feels and it’s very different. Andrew: All right. I did it. It took about a minute. That’s not too bad. And then right after I did it, it asked me how I was doing today. Then it said, “Why do you feel that way?” I like that it didn’t ask me to type it in. I had a bunch of words that I could click on to tell you why I was feeling like I was feeling. I hit the words for overworked and I hit the words for what else was there—there was another one for a lot, overworked a lot. All right. This is the way it works right now. I’m now on a streak of one day doing this, and I need to do it for seven days in a row. When you did that first version, it did basic stuff, like you said, it could take basic measurements and then you could talk to people. What did you learn that you needed to put into the app based on this first version and the conversations that you had with people who are using it? Jane: So what we have learned, the first thing that people don’t care about their health. It was the first huge part. That’s why actually most people failed to stick on their fitness and health goals and their New Year’s resolutions and all this stuff, they’re just too busy. That’s why they don’t care about long term. What we have realized is that people actually do care about their money, work and productivity and success about things like this. They have a lot of work. That work is the most important part of our health, actually. It’s the biggest part of our life is the biggest stress there and all this stuff. So what we have learned is that if we [inaudible 00:32:36] and talking with them about short-term values about being productive today, it works much better for health than actually health or fitness. Andrew: Yeah. So I don’t necessarily want to live—well, I do want to live longer, but I don’t care about how I’m going to do even a week from now or a year from now. What am I going to do right now? What are you going to get me now that’s important, right? I get that. All right. So, because of that, did you learn to add immediate results to people and did you? Were you able to give them immediate results? Were you able to show them significant work improvement because of this? You did? How? I think I just lost you. Jane: Because your long-term benefit is about how you spend every day. That’s how it works. Health is about lifestyle. Andrew: But you know what? I’m still on this app right now. I just did it a day in a row. You can’t see it, so I’ll just read to you. It says, “I’m seven morning measurements away from customizing my algorithm and improving the accuracy and I’m 28 days of measurements and recommendations away from starting to feel better.” So it feels like it’s a month of work before I start to feel better, no? Jane: No. Just tap on the stress or energy button where you see the numbers up there, measurement, and you will see recommendations and explanations for today. Andrew: I see. You’re ready to get a lot of work done. Even if you’re experiencing some stress, it’s not going to do you any harm. To avoid losing steam, take breaks every one to two hours. During the breaks, run up and down the stairs, do eye exercise, alternate looking at different corners of the window, try breathing exercises or take a brisk walk for 15 minutes. Got it. Okay. This is you telling me that and then there are links on the bottom for more information. I see. I still could get a little bit of benefits right now. Jane: Yeah. You don’t need to wait, actually, for anything. The treat is that if you’re trying to run two days and you see that it’s really connected to how you work and how you feel, you start to change your behavior and attitude. You need not to reach this aha moment about like it’s really connected with what is going on here. That’s how we got one of our first investors. Our app told him that he is super tired and stressed and he told us it’s wrong, “I feel great,” and he had a huge battle in tennis with his partner in the evening and he completely fell. Next day, he invested in us and our app was right. Andrew: I see. He had that argument because he was so stressed and he didn’t realize he was stressed until he had a stupid argument that he should have avoided and with a clearer mind he would have avoided. So, now, you’re starting to figure this out, starting to improve this product. You stay, you told our producer, for a very long time in beta. Why did you stay so long in beta? Jane: Yeah. Well, it’s not just beta. We earn money, we earned about $65,000 working with users [inaudible 00:36:06] and collected all the data. We needed data, a lot of data, two billion data points, two million measurements to train our algorithm set to make it work. You should just understand here that there is no other app in the world that could tell you that you are ready for challenging complex tasks today. We needed a lot of data and time to full research and development. It’s actually signs. Jane: Because we needed experience and customer development at the same time because preventative health and making people change their behavior is unsolved problem also. So nobody knows how to make people care about their bodies. At the same time with data and algorithms, we need to understand the psychology and behavior change and try to do different things with real people. If they are not paying for this, how do know that we are giving them some value? Andrew: Got it. It’s not just about you getting data. You also wanted to find out that this was useful and the best way to see that people really care about it and find it useful is to charge them and so you were charging and it was still on that freemium model that you told me about that you’re doing today, free to use, but if you want more integrations, you have to pay. How did you know that’s what people would pay for? I thought that was pretty interesting. Jane: It’s about getting more information about—people like getting information about themselves, getting insights about themselves. That’s why they like assessments in Facebook and horoscopes and all these things and like to visit some doctor and tell me something about me. So people like information about themselves. The more information they get, the more they value this because it’s their data. Andrew: Okay. You finally did leave beta, and it was time for you to go out there and get customers. When we come back, we’ll talk about how you got your customers and how you grew it and about the million people who have better lives and why you celebrated that. Let’s talk a moment about a company about Toptal. I’m going to be honest again. Here’s the one issue that I get with Toptal. The big one is, “I called up Toptal, Andrew, just like you told me in the interviews and they rejected me.” So I’m going to tell people why Toptal rejects them and then I’d love to hear from you because Toptal has the best of the best in the network about some of the friends that you have who are in it. The one big reason why people will get rejected is they have no technical team and then they go to Toptal and they say, “I need you to hire someone who’s the best of the best and that person needs to do everything.” They don’t want that. They’re not here to get someone who has no business get started with a top developer who will then have to talk to an entrepreneur who doesn’t know jack about the software. They want to talk to someone who knows how to work with a top developer. That’s a big one. I understand that if someone out there has a good idea and just getting started and then they call up to say, “I want to hire Toptal,” and they get rejected, I understand how that hurts. But I’d much rather you get hurt in that phone call and have your feelings hurt then call them up and then pay for a great developer who you’re not going to work out well with. I’d rather they reject you fast. All right. But Toptal’s big thing is that they get the best developers in their network. Your friends are developers. How do you know so many developers who are in Toptal’s network and what do you know about Toptal through them? Jane: They say that it’s hard to get there, that there are interviews and checks and verifications, but after you get there, you get paid for your work. It’s like great customers and easy to work with it. Andrew: Yeah. That is the thing. Jane: They get happy about this as freelancers. Andrew: And they do want to just work independently—they probably don’t work in the U.S., right? Your friends who are in Toptal’s network? Jane: Yeah. They’re from Eastern Europe. Andrew: Yeah. So the thing about Toptal is they say if you’re the best and you don’t want to come to San Francisco, you don’t want to come to Silicon Valley, guess what? You don’t have to. We’ll get you good clients. We’ll actually vet the clients and make sure their client is worth working with. But before you get in our network, before you get access to these great clients, here’s what you have to do, you have to pass a bunch of tests. They really will make it so hard that I find that the best of the best are invigorated by it. They feel like, “Finally somebody is testing me and making use of this knowledge in my head and I get to prove myself,” and they go for it. I’ve seen people get rejected by Toptal because they were good developers, but they didn’t test well and then they get invigorated and can’t wait to apply again. When they apply and they get in and they pass the test, they feel spectacular, which they should. So, if you’re out there and you’re someone with a real business, not just getting started and you’re ready to hire the best of the best, what you should do is go to this URL I’m about to give you and get on a call with what they call them as a matcher at Toptal. They want everyone to talk to a matcher. The matcher will understand your needs and then match you with a great developer or team of developers who you can work with on a part-time basis, full-time basis, per project basis, whatever. I’m telling you, don’t take my word for it, go Google them. I should probably tell you go to this special URL, but frankly, go spend some time Googling them and you’re going to see—Google them on developer forums and you’ll see how people think highly of Toptal. And then when you’re ready, I’d love for you to use this URL because I will get credit for it, but you will also get 80 hours of Toptal developer credit when you pay for your first 80 hours in addition to a no risk trial period of up to two weeks. That URL is top as in top of your head, tal as in talent, Toptal.com/Mixergy. Guys, keep giving me all your positive and negative feedback. I love it. I will not just accept a sponsor if it’s not going to work out with my audience. All right. How did you grow this? How did you get people to sign up? How did you get people to know about your business, Jane? Jane: So, basically, it was hard in the beginning because when we launched, we had users all over the world in Australia, in U.K., in U.S., and in different cities. We had like no media relations, and there was no big event to get people to know about us. It was started with some influencers, with some advertisements in Facebook. Then when we started to get great reviews, everybody who is getting Welltory and has a certain experience is telling about us to their friends. It was one channel. The next channel, actually, it was not like a startup way, we decided that we have to learn how to use paid channel just like Facebook advertising to make it work. If you can, it’s like the less trustable channel. So people don’t know anything about your app. They just see your advertisement, try your app and then decide. So if you can make this work, it means that you are scalable. Andrew: I see. Because you bought ads, all the nice feedback from people and all the referral from word of mouth is terrific, but that’s hard to build a dependably growing business based on it. You said we had to figure out a way to make paid advertising work and Facebook is where you went with it and because was starting to work for you, we said we think we found a way to grow. This is going to be—this is proving that there’s a market for us out there. Jane: Yeah. For now, we can buy customers, like we are buying mobile installs for about a couple of dollars and then with all these conversion rates, we are getting real customers for about $30 and lifetime value for customers is about $100, so we have three times difference between these two numbers. So we can put money here and get three times more money here, so it works. Andrew: Okay. I also noticed that the App Store was promoting you. Did you guys try buying ads in the App Store? Jane: Yeah. Sometimes, we are buying search ads in App Store, it works. Some of our competitors are buying advertising for Welltory to show their app with us. But it’s not scalable because it’s too expensive to get a lot of [inaudible 00:44:56] from there. Andrew: I see that. Yeah. I see that when I search for you, other people are buying ads. And then the other thing again that strikes me every time I see you guys, I see the ratings. What do you guys do to encourage people to rate? I didn’t see that in the app yet. You have at this point it says 1,300 ratings, overall rating is 4.5 stars out of 5. Jane: Yeah. It’s a bad one. One month ago, it was 4.7 and then we had some technical troubles and right now, it’s 4.5. Andrew: I love that that still burns you that you’re down to 4.5 from 4.7. Jane: It’s horrible. Actually, we want to get 5, and we think that we will get it at the end of the year where apps are doing all the things we want. But thinking about ratings, we do have about the second measurements, after the second measurement or third measurement, we asked people what do you think, can you tell us what you about our app. They are leaving ratings and reviews and all this stuff. Andrew: I see. And so the reason I didn’t get it is because I haven’t done the metrics enough, even though I opened up the app a bunch of times. When you see people are using it, then you say, “How are you doing?” If they are doing fine, you send them to the App Store to review. If not, you ask them for feedback and you improve, right? Jane: Yeah, something like that. Andrew: What’s the—help me understand the details of it. How are you guys doing it different from what I described? Jane: It’s not different. It’s exactly like what you described. The difference is like right now, App Store asks people, sometimes they ask people to rate our app without our control. Jane: They changed it in 11 version of iOS. Right now, if you allow them to ask people about ratings, they can ask them whatever they want. Andrew: Oh, I see. Got it. I didn’t realize Apple did that. Okay. Jane: They did this this year. It was in all the updates. Andrew: Okay. So then you were continuing with that. Let’s talk about team. How did you hire? What’s working for you? Andrew: How did you know all these people? Jane: Just for the startup world from all the startup teams, always like in all events where I was [inaudible 00:47:54]. We had a lot of connections because we helped startups a lot. Andrew: How do you stay in touch with all those people? That’s a lot of people to stay connected with. Jane: You don’t stay in touch with them. A lot of people only [inaudible 00:48:10]. It’s a lot of time, a lot of connections, a lot of people. I don’t know how to describe it. Andrew: I see. All right. You’re keeping an eye on who the best, most talented people are out there. You stay connected with them and then when it’s time for you to launch, you reach out to those people. Those are the ones that you hire. Jane: The real problem was not the technical part of the team but the science part of the team, because when we tried to find doctors, professors, researchers and somebody like this who can actually work with data, it was super hard because people like doctors and MDs, they can learn medicine. Medicine is not health. So, basically, it’s hard to make doctors focus on health because they have learned for a lot of years to focus on disease. Then we tried to like find experienced trainers and wellness coaches and with wellness coaches, it’s hard to work because they are not focused on data. They love to talk. If you have a great talking experience, it’s okay. So it was hard to find life scientists and cardiologists who are crazy enough to be able to challenge themselves and create something new and be technical enough to understand the data scientist guy who is like speaking with them in the different language they don’t know. Andrew: How were you able to do that? How did you overcome that difficulty in hiring them? Jane: Just trying and trying a lot of people. Andrew: Okay. What is this? Jane: We are not so smart. Andrew: I saw in my producer’s notes where they asked you, “What’s one story of a time you celebrated?” And it’s, “A million people have better lives and feel better.” Did you get to that level yet, or is that the vision to get to a million people? Jane: I think it’s like misunderstanding. It was a half-year goal, more than half-year goal in the summer. It was the first million measurements people made. Right now, it’s more than two million and a half. Andrew: So it’s not a million people, but it’s a million measurements. So I just contributed two measurements because I did this twice. Got it. Andrew: So that was the big win for you, to just get people to go in there and measure. Jane: Yeah. It means that we have data. It means that we have enough data to make it better. Jane: It means that people actually like it. Andrew: So here’s what I got from this interview. Number one, we may not be aware of how stress is impacting us, but you saw it working with several entrepreneurs that when they are stressed, they make bad decisions and they miss great opportunities. But we don’t focus on it because we think that’s just part of the job and you’re saying maybe there’s a way to do it, number one, number two, when you come up with a great idea, start with an Excel spreadsheet but use it to prove what you’re trying to prove or measure what’s important. I would have thought of a spreadsheet as a way of measuring whether people cared about the data and you said, “No, actually, what we needed to first see was can we get this data with the tools that people have?” Number two, once you get into your beta, talk to as many customers as possible and you build that right into the app and what you discovered is something that’s come up a lot in these interviews, people don’t really care about the long-term. They do care tremendously about the short-term. That goes for even health and even people who intentionally download an app that’s supposed to make them feel healthier. Number three or whatever number we’re on now, if you find good developers, just stay in touch with them a lot and forget about the others. That’s a way that you can manage your network really well. What else did we get from this? Here’s the other thing that I care about. Why do you care about how many measurements? Why is that a number that you care about as opposed to downloads and so on? Jane: Because you said just that it’s a long time. It’s one-minute. It’s a real contribution. So, when people actually do this, it means they use the app. When they just install the app, it doesn’t mean anything. Andrew: Why aren’t you using a metric like monthly active users, which I think Facebook publicized? Jane: Yeah. You can go to the app and just watch our videos and don’t do any measurements. You can be in the app, but don’t do anything. Andrew: Okay. And you as a company use that metric as the one guiding force, the one guiding light. We’re trying to get to that, more people, more measurements taken. Is that right? Jane: For now, it’s not right because already, we solved this part and a lot of people are doing measurements. We have enough data. For now, it’s not the most important metric. Andrew: What is the one metric that you’re obsessed with? Jane: Right now, we have like done everything with the paid users, with customers and my next big thing is to make it great for free users and to make them use it for a long time, not for our paid users, but for free users. Free users is my next big thing. Andrew: How do you make this a rockingly good experience for them? All right. I’m going to continue to be a real estate user and then I can imagine wanting to do this as a paid user. For some reason, I’m really obsessed with taking my own data. I will—in my conversation with Tim Ferriss, he said, “Look, record the food that you have for a little bit and you’re going to see how you eat better just for doing that.” From time to time, I install MyFitnessPal and I go through a week or a month of recording every single thing. The problem I have with that is yes, it does make me eat better, but it doesn’t give me any insight beyond that. I don’t care about the micro nutrients. For some reason I just can’t get into it. Now I have a way to do that. Jane: Yeah. For you, this one minute anywhere where you’re like watching the sky or just stop is a super important experience because you are so active. Andrew: That is the hard part. I see the benefit of doing it, so I will work on that. anyone who wants to check it out should go check out Welltory. It’s like a wellness factor, Welltory. See it in the App Store. You guys are Android also, right? Andrew: So forget about their website. Just go to the Apple or Android App Stores and get it, try it and let me know how your numbers look and I’ll keep going with this for the next week and see what comes up. I want to thank my two sponsors. The first sponsor, HostGator, for being okay with me even talking about people who send me negative feedback about them—actually, I don’t even know if they’re okay with it but they’ve got to be if they’re sponsoring me. But I’m really happy with them and overall, I’m seeing really positive feedback from people who are signing up for HostGator. They hate their previous hosting company. They switch to HostGator. They’re happy with it. Then they just move on. If you want a good hosting experience, go to HostGator.com/Mixergy. You get a low price and hosting that works really well. And number two, if you want to hire a great developer like Jane’s friends, you should go check out Toptal.com/Mixergy. Finally, guys, give us feedback on how this feedback is edited and audio quality. I know Ari is working on improving the editing. Hit us up as a team at Contact@Mixergy.com. All right, Jane, thanks so much for doing this. Andrew: I’ll let you get back to your workload. Thanks. We had a lag. So it seems like we’re talking over each other, but that’s not it at all. We have a lot of respect for each other and the lag is what’s causing the issues. Cool. Bye.